As the characters of this space saga are wont to do, Star Wars: Episode IX looks to be featuring a lot of travel between different planets, some new and perhaps some more familiar. 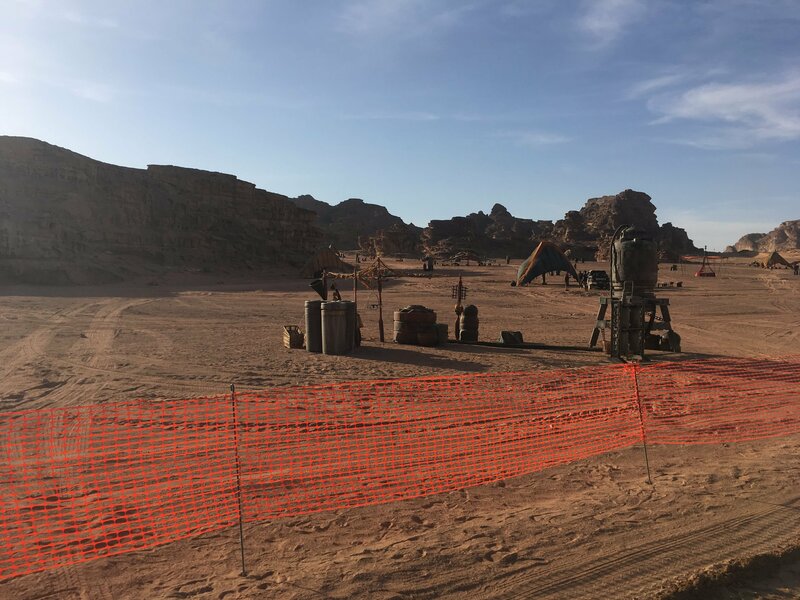 This new set of images was taken from the desert of Wadi Rum, Jordan, and as well as featuring some tents and some typical Star Wars scenery for this otherwise barren landscape, we can also see a whole field of alien cutouts, presumably functioning as stand-ins for extras. 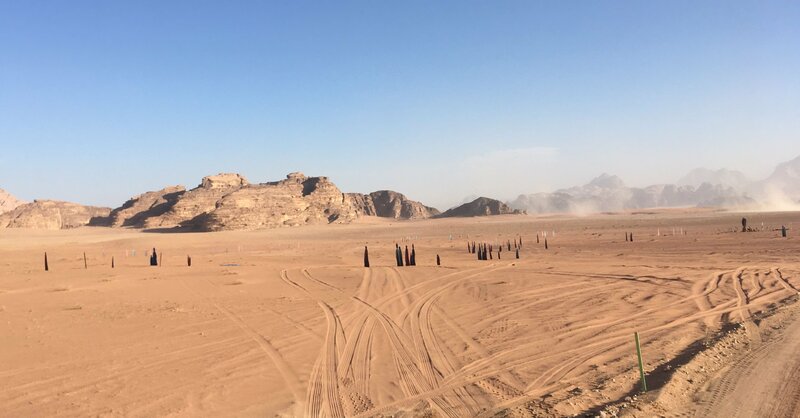 While we can neither confirm nor deny that the planet featured here is Jakku, it would certainly make a lot of sense for the upcoming trilogy-closer to take things back to Rey’s home planet. Recently, there’ve been rumors going around that the film will feature some flashback scenes from the region, and that theses scenes may even serve as part of a retcon of The Last Jedi’s reveal of Rey’s parents. Obviously such ideas should be taken with a grain of salt, but seeing how The Force Awakens director J.J. Abrams is returning to the helm for this next movie, you can at least expect a degree of symmetry between that 2015 and this final installment in the current trilogy. 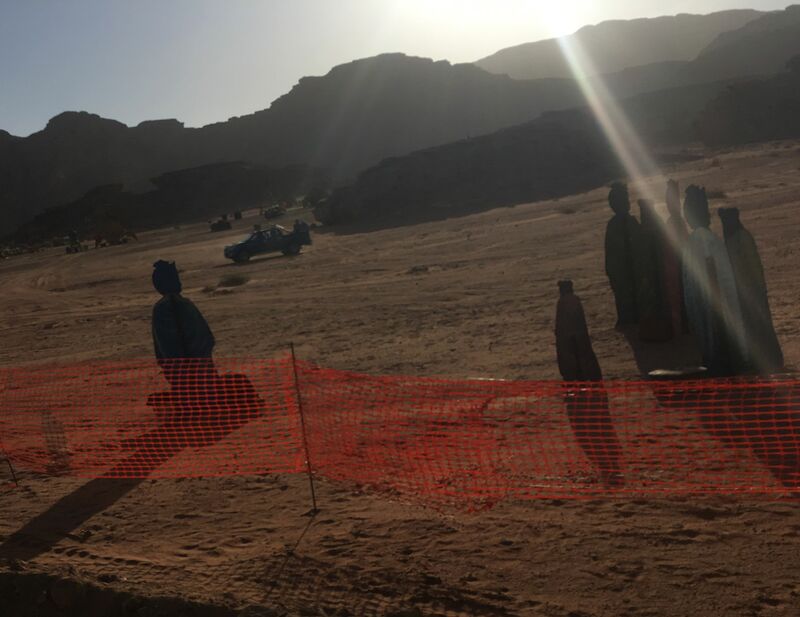 Along with this desert setting, pics have revealed that next year’s film will take the action to a jungle planet, with the Millennium Falcon previously being witnessed in such an environment in Black Park, England. We’ve also seen photos of Finn, Poe, and Chewie wandering through the countryside on horseback, though presumably those horses will be rendered into creatures far more alien in the final cut. We’ll find out how these various interplanetary escapades all fit together when Star Wars: Episode IX hits theaters on December 20th, 2019.